For those with hearts of pure gold! This Joma Jewellery bracelet is presented on a gift card that reads 'This golden heart I give to you, you have a heart of gold, it’s true'. 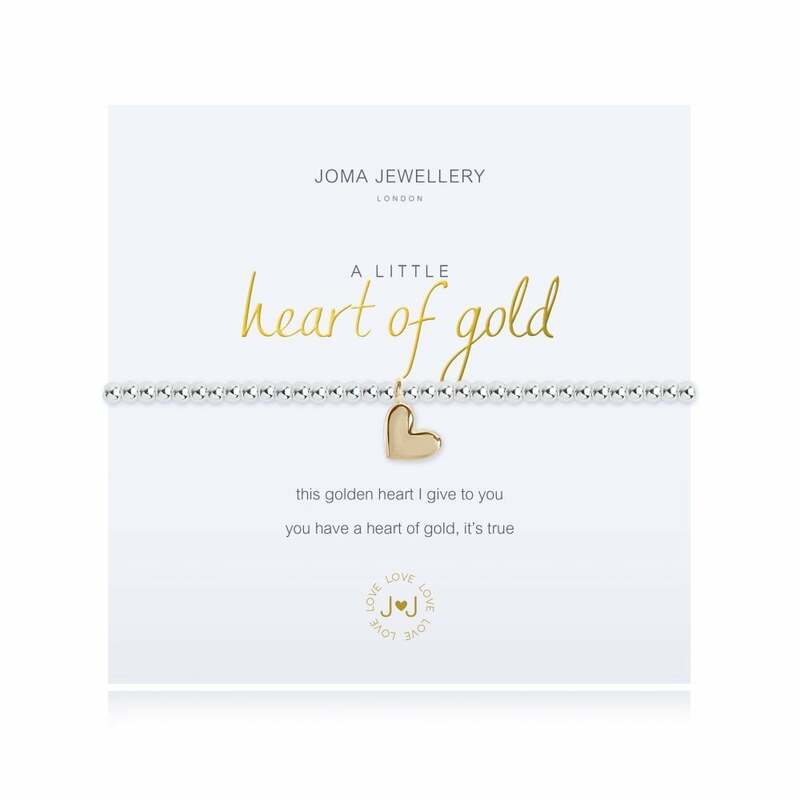 Some people just have a heart of gold, and what better way to show them how thankful you are than with this gorgeous A Little Heart Of Gold bracelet from Joma Jewellery. This dainty elasticated bracelet with glistening silver beads is finished with a unique gold heart, a charm that will perfectly epitomise that special someone!